Want free dinner? 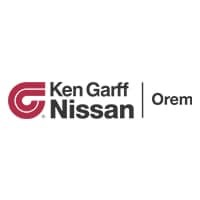 The first 20 people who take a test drive at Ken Garff Nissan Orem TODAY, Friday, September 15th between 4:30 PM – 7 PM get a FREE MEAL from Chow Truck! Chow Truck will be here rain or shine! While you are here, check out the great pricing that we are offering on our new Nissan inventory and test drive one of our great vehicles. Don’t miss this chance to save on your new Nissan vehicle and eat some delicious food! We’ll see you this Friday!